Agents spent weeks piecing together who may have sent them. They used metadata footprints left by the emails to determine what locations they were sent from. They matched the places, including hotels, where Ms. Broadwell was during the times the emails were sent. FBI agents and federal prosecutors used the information as probable cause to seek a warrant to monitor Ms. Broadwell’s email accounts. ….They learned that Ms. Broadwell and Mr. Petraeus had set up private Gmail accounts to use for their communications, which included explicit details of a sexual nature, according to U.S. officials. But because Mr. Petraeus used a pseudonym, agents doing the monitoring didn’t immediately uncover that he was the one communicating with Ms. Broadwell. That’s not a trivial amount of work. The FBI team spent weeks (months?) tracing email metadata, which requires court permission. Once they figured out the emails had come from Broadwell, they began tracking her movements. Then they went to court to get a warrant to read her email. Then they apparently got a warrant to monitor a second email account belonging to someone Broadwell was having an affair with. 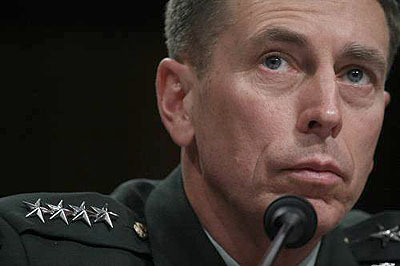 It turned out to be Petraeus. Wow. What kind of juice does Kelley have? This sure seems like a helluva lot more than your ordinary FBI attention to some harassing emails.